Instruct the class in 6-12 strategies based on students needs. The Placement Guide is the first part of the three part CARS & STARS Plus series. It is used to assess the students reading comprehension and then place them in the correct CARS Plus Level. 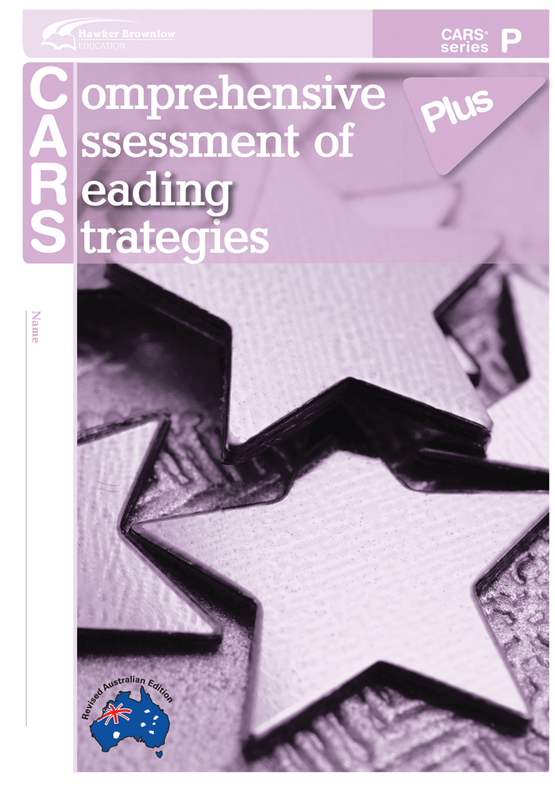 This is a 10-level program that spans from levels P-H. Levels P and Levels AA (typically pre-school or early foundation year) are concerned with pre-reading, teacher-guided and focus on listening skills and visuals across 6 strategies whereas Levels A has 8 strategies and Levels B-H, the core of the main program, each have 12 strategies. 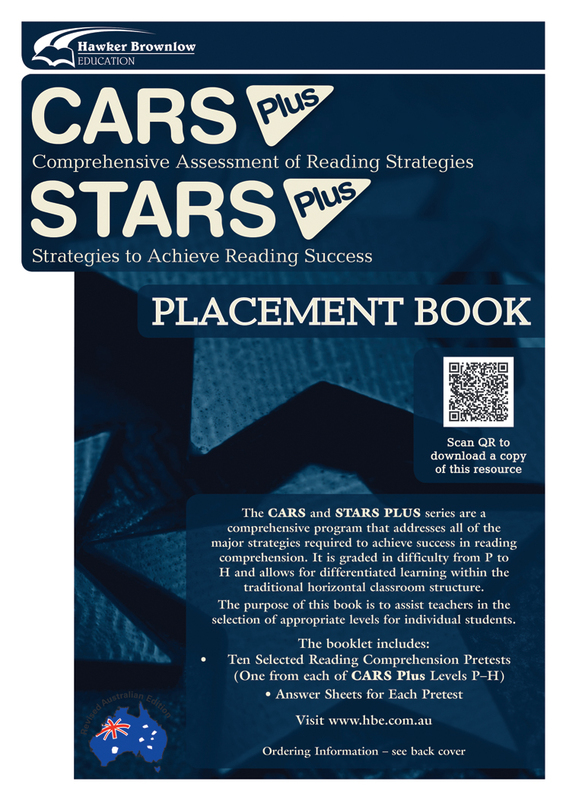 Have all students take the level placement test at least three times on the correct level (the CARS Plus Placement Guide generates three random pretests for each reading level). If the student gets less than 6 correct responses, the CARS Plus Placement Guide will suggest that the student take the placement test for the level below. If the student gets 11 or more correct responses, the CARS Plus Placement Guide will suggest that the student take the placement test for the level above. If the student gets between 6–10 correct responses, they are on the correct level. If you would like the student to retake the test on a new level, please select New Pretest from the main menu. Otherwise, click the Quit button to start a new Placement test for a new student. A Note on Placement: When in doubt, go down a level, as this program isn't about stretching the students, it is about the students being comfortable and understanding what they are reading. Why use the CARS Plus Placement Guide? CARS & STARS Plus is based on reading comprehension, not year level. Students in the same year level may have differing levels of comprehension and therefore be on different CARS & STARS Plus levels in the same class. The CARS & STARS Online Placement Guide evaluation ensures the student is on the correct level for their ability. Where can I purchase CARS & STARS Resource? 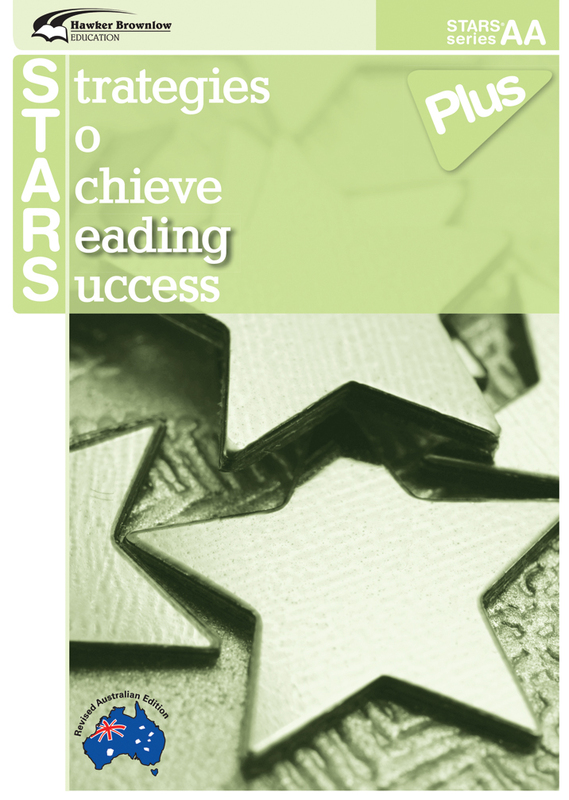 For more information on CARS & STARS Reading and Comprehension Resource, click here.